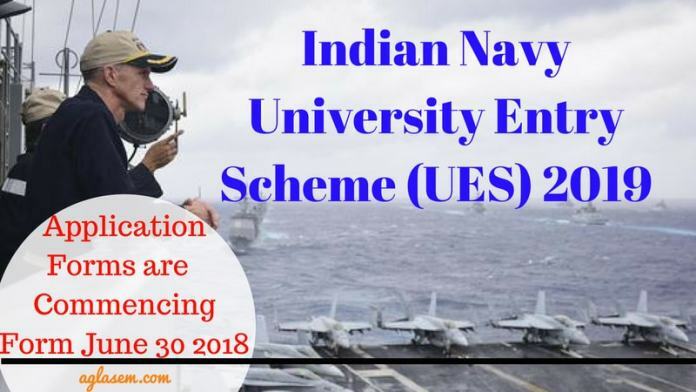 Indian Navy University Entry Scheme (UES) 2019 has been commenced on June 30, 2018. It released the Application From for UES 2019. The due date for submitting applications has been extended to August 05, 2018 from July 30, 2018. The unmarried male candidates appearing in the final year of regular BE/B Tech or integrated degree course are eligible to apply. The aspirants can apply through this page as well. Basically, this recruitment is easier than other Navy Recruitment. Because Indian Navy will conduct the screening round for Indian Navy UES 2019 in the campus. So it’s easier to crack any test in the campus rather than outside. If your veins have the blood of patriotism and you have the proper educational background then you should apply before the date. This page will guide you about each pulse of Indian Navy UES 2019 recruitment. Latest: Indian Navy UES 2019 Application Form dates have been extended. Click here to fill the same. The recruitment will give the entry in two Commissions Permanent Commission (PC) officers in Executive (GS) Branch and Short Service Commission (SSC) officers in Executive and Technical Branches of the Indian Navy under University Entry Scheme (UES). The schedule of recruitment is given here. After confirming the eligibility criteria the candidates can apply through this page. As soon as Indian Navy releases the application form, a direct link to the Application Form will be updated on this page. While applying the aspirants has to choose the Branch preferences. Indian Navy will release the Application Form on its official website i. e. www.joinindiannavy.gov.in. So the aspirants can understand the mode of online applications is online only. Indian Navy doesn’t charge anything as an application fee or examination fee. So the candidates have to just fill the application form. Gender: A male candidate is only eligible. Marital Status: Married ones can’t participate in recruitment. 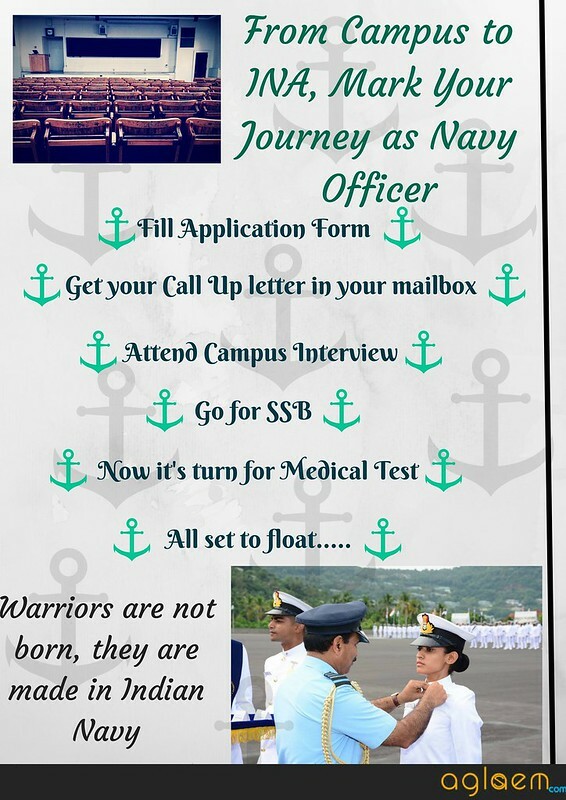 Apart from the above eligibility Criteria, Indian Navy presents the Eligibility Branch wise as well. Medical Standard: Those who want to apply should have these following medical requirements such as Height, Weight, EyeSight etc. Permanent Body Tattoos –Tattoos are the primary concern when you are applying for the most privileged Services in Country. Tattoos in the inner body parts such as the inner face of forearms i.e from inside of elbow to the wrist and on the reversed side of palm/ back (dorsal) side of the hand. However, Permanent Boddy Tattoos are not allowed in any other body part except for this. Though the recruitment is conducting for the university entry so the first step of recruitment exam is Campus interview. Hence After getting aspirant’s response through applications, Indian Navy will respond back by issuing the admit card for campus interview. 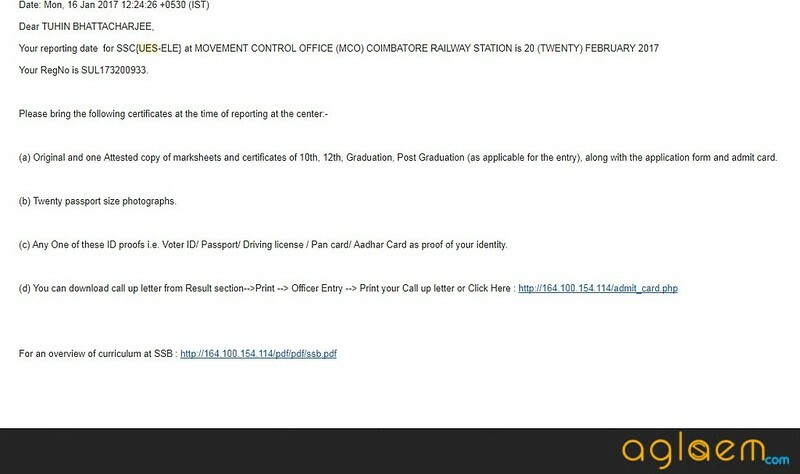 Indian Navy will send the call-up letter on the registered email ids of candidates. So that the aspirants are advised to the active email ids. So your call up letter for the campus interview will look like this. Though the recruitment scheme is University Entry so the screening test will hold in the collages. Preliminary selection of prospective candidates studying in the Pre – Final Year (Engineering) will be made by selection teams detailed by Command HQ for holding preliminary interviews at University/ College. Those who will qualify the campus test will be called for the SSB round through issuing call-up letters. The candidates have to appear for the SSB Rounds. 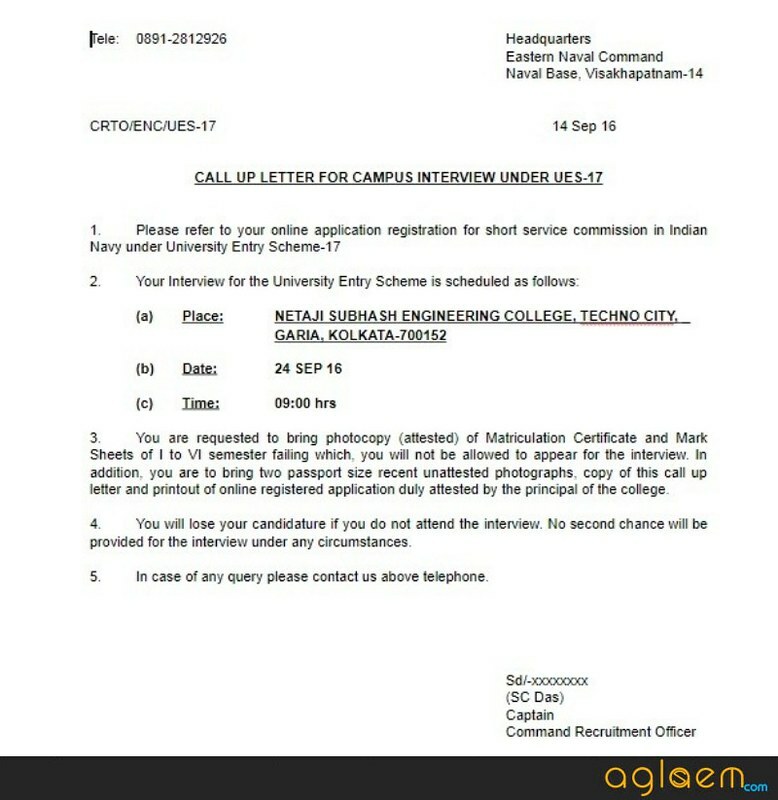 After conduction of Campus interview, Indian Navy will intimate candidates about their result on their email id. Indian Navy will send the call letter for SSB to selected candidates of Campus interview round. However, their colleges can intimate them about their result prior to the declaration by Navy, this could be another possibility. After getting the call letter the aspirants have to appear for the Service Selection Board. This is a 5-day long process. Which has broken into two parts of test i. e. Part I test consisting of Officer Intelligence Rating (OIR) Test, Picture Perception and Discussion test (PPDT). Those who will qualify this round have to appear for the next part of the interview. Part II is a four-day long process which will comprise of Psychological testing, Group Task, Group Discussion and Personal Interview. Part – II comprises of several physical tasks, so candidates are requested to physically fit for the round. As no compensation will be provided to the candidates in case of injured during the test. for the first time for this Commission on the production of railway ticket. One SSB overs, the selected candidates have to attend the Medical Examination. Indian Navy will conduct the medical examination in the military hospitals. Successful candidates will thereafter undergo Special Medical Examination for an approximate duration of 05 days at the nearest military hospital. Ther doctors will assess the candidate’s medical condition by doing full body checkup. If any candidate found with theses flaw then he /she will be declared disqualified. Varicose Veins or any other deformity. In a military hospital, the candidates will be tested by these following tests. Blood test, Urine test, Chest x-ray, Ultrasound. General Medical(Height, weight, blood pressure, heartbeat) & Medical Conference. Those who will break all the barriers of the test will get the appointment as the Officers in the rank of Sub Lieutenant. Such candidates have to undergo 22 weeks Naval Orientation Course at the INA Ezhimala, followed by professional training in Naval Ships and Training Establishments. In case of Executive (General Service) entry, course duration of NOC at INA would be 44 weeks. Initially, the candidates have to serve the probation period of two years. Indian navy will map the performance of the candidates closely. On successful completion of training, the candidates will get the confirmation letter for Indian Navy. But the is only one condition, nobody can marry during the probation period or training, if anybody does so then, Indian Navy will discharge him and the candidate has to pay back all the allowances received by him /her. Now we are going to discuss the most interesting part of recruitment that is Pay & Privileges which are provided to and Navy Officer. Everbody set their eyes on this part only. So let’s take a look at the pay. Now move towards the privileges these include Free Medical Facilities for Self & Dependants, Canteen Facilities, Mess/Club/Sports Facilities, Furnished Govt. Accommodation & Car/Housing Loan at a subsidized rate. An Indian Navy Officer gets the insurance cover up to Rs. 75 lakhs for all branches is applicable. Gratuity will be granted to the officers as per the latest rules in force. Doring serving in Commission the Officer get the 60 days of annual and 20 days casual leave every year. But leave during training period will be as per the extant training policy in force. Apart from that the Navy officer avail the facility of r 40% rail concession to any place & free travel. 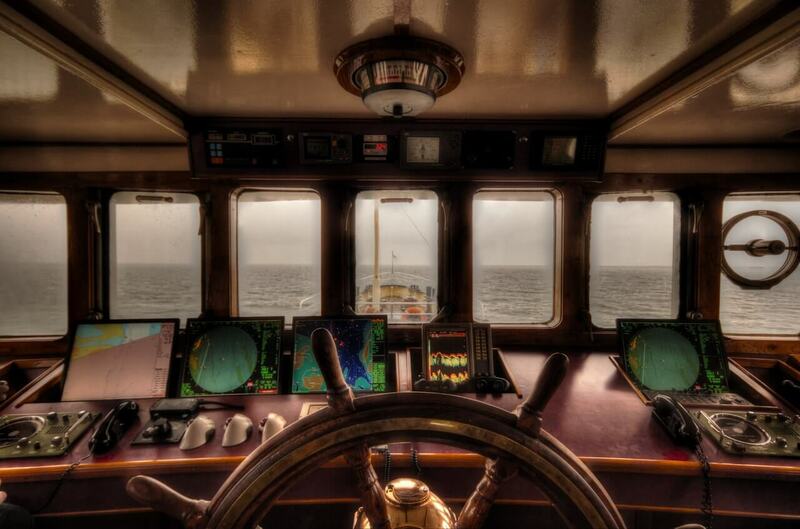 Indian Navy also provide the entertainment in terms of Sport and adventure. In addition, one can also learn and participate in adventure sports, such as river rafting, mountaineering, hot air ballooning, hang gliding, windsurfing etc. For more information about the Indian Navy University Entry Scheme (UES), 2019 download the advertisement.